From the entrants to the Honest John Car of the Year competition we'll select 10 winners, each of whom will get the opportunity to test drive the 2017 Honest John Car of the Year with Honest John himself, at a special event. Each winner will also receive more than £500 worth of prizes. Each winner will receive a pair of tickets to either the Goodwood Festival of Speed or the Goodwood Revival, complete with a picnic hamper. 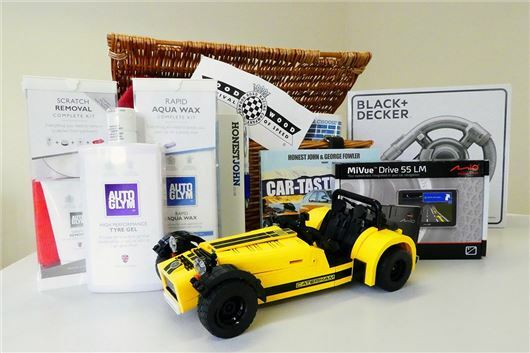 There's also a Mio navigation system with integrated dash camera, a Black and Decker Dustbuster Flexi 18V vacuum cleaner, a Lego Caterham Seven, a trio of Autoglym car care products a signed copy of Honest John's Cartastrophes book and an Honest John Car Chooser mug. If you want to enter, all you need to do is click here and follow the instructions.